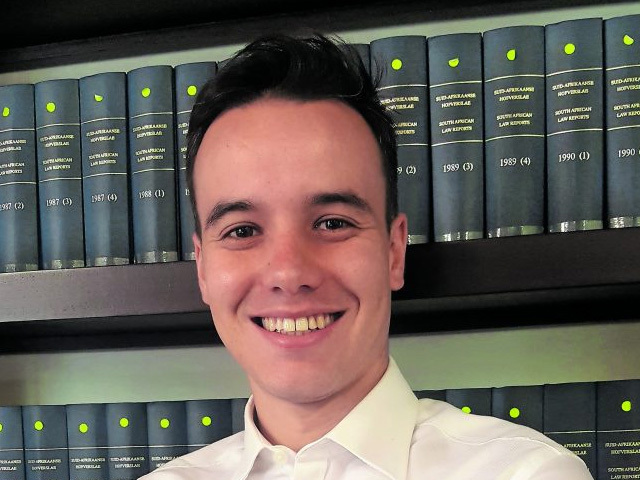 Bryce Wray completed his legal undergraduate studies at Wits University before working for six years at Hogan Lovells, a large commercial law firm, where he was promoted to senior associate. There, he worked in the commercial litigation team specialising in large-scale commercial disputes where he took the lead in many matters and assisted the lead partner on some disputes. As a senior associate, he was tasked with supervising candidate attorneys and associates. He knew that as a white male South African in an already unequal patriarchal industry the role came with the responsibility to help transform and change attitudes and perspectives to make the industry more equal. He took very seriously the task of instilling in junior lawyers the attitude that every member of the team is instrumental in finding legal solutions for the client, that all views and team members are equally valuable and that being a junior lawyer carries just as much responsibility to provide clients with the means to access to justice as a senior lawyer. He was a consistent volunteer of the Teddy Bear Clinic Court Preparation Programme — an initiative where lawyers from Hogan Lovells assist child victims of sexual assault to prepare and give evidence in court against perpetrators of the sexual assault. It was here he realised his responsibility to use the privileges he has been afforded to assist South Africa to transform by helping those who still feel the effects of oppression that plagued this country for so long. At this stage in his career, he began pondering where to pursue his studies, and within a year he was awarded a Chevening Scholarship to study human rights in Scotland. He says the UK is grappling with human rights law in many different ways and he was enlightened by being in such an environment and learning from various professionals, NGOs and academics. While at Hogan Lovells he was also involved in administrative, constitutional, media and access to information disputes. By the time he left, a public law and media practice was starting to grow bigger in the firm, which is something he’s particularly proud of. This is why he decided to complete his dissertation looking at the protection of journalistic sources in the digital age, a study that involved a comparative analysis of threats and protections in the UK and South Africa.